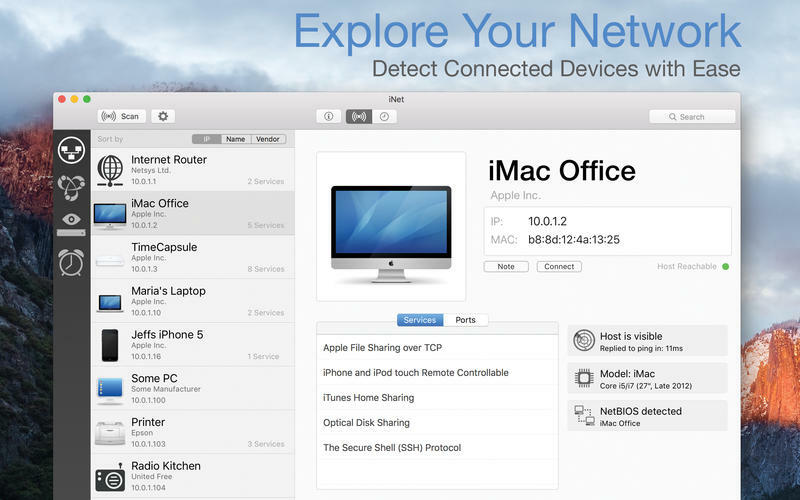 iNet provides you with information about networks your Mac is connected to. 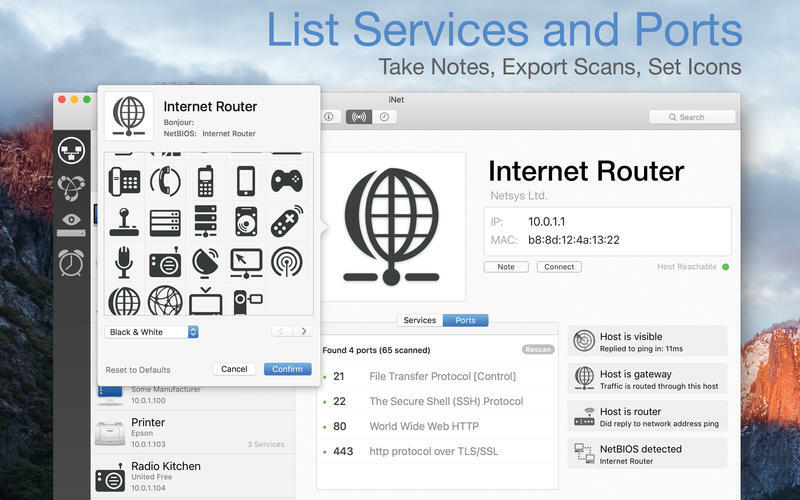 Its very easy and user friendly design allows even the unexperienced user to get a profound and understandable overview of a network and the running services. 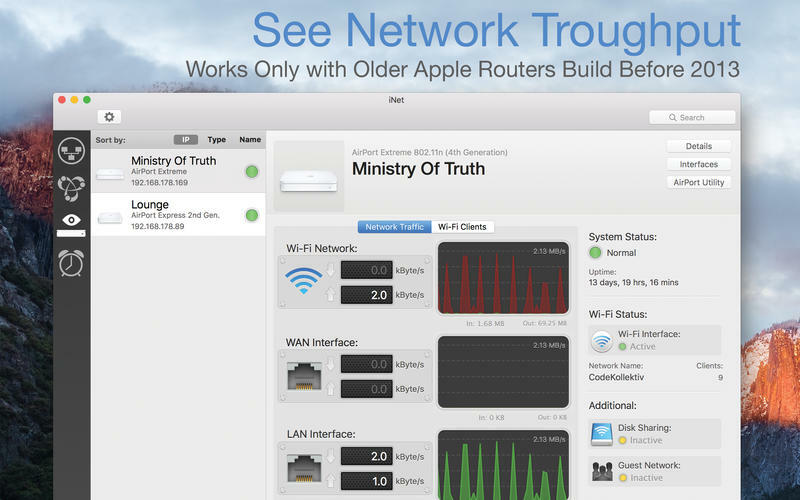 iNet is also available as iPhone and iPad App via the iTunes Store.